They say promises are made to be broken and, too often, we're quietly cynical about them, even when they come from God. But, His word is true, and He's promised to infuse our lives with His grace and blessings! It's a solemn promise--Scripture calls it an everlasting covenant--and you can count on it. Andrew Murray explains: The secret of abiding joy; God's strength for daily living; freedom from the power of sin; the delight of blessing others; and the intimacy of a Spirit-filled life. Why struggle to live for God when you can experience the joy of the Spirit of Christ living in you, and receive His promises of new life? 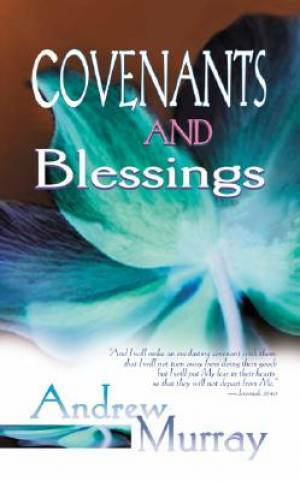 Covenants And Blessings by Andrew Murray was published by Whitaker House in March 2002 and is our 43359th best seller. The ISBN for Covenants And Blessings is 9780883687482. Be the first to review Covenants And Blessings! Got a question? No problem! Just click here to ask us about Covenants And Blessings.